You'll never lose track of your day when you have a polished Rosewood Book Frame II - Laser Engraved to keep you punctual. A custom desk clock is an excellent promotional gift that will last for years. 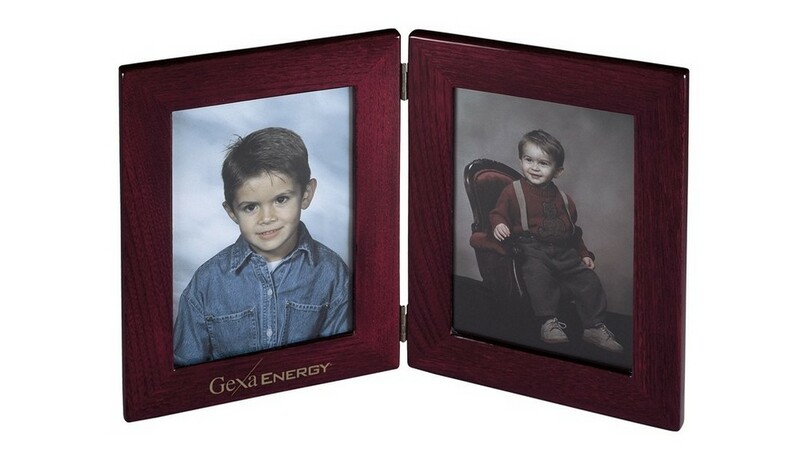 The Rosewood Book Frame is a perfect promotional item for special occasions, retail sales, sporting events, corporate advertising, and much more. Display it on a desk or shelf, to catch and hold the onlooker’s attention. This frame is completely finished on the back in high-gloss Rosewood Hall. It holds two standard 5" x 7" photographs or plates. It does not come with an engraved plate. Laser engrave your company’s logo on the frame and give it away at upcoming marketing events, to elevate your brand’s popularity and success.